Stacie Sherer is Senior Vice President of Corporate Communications for WW International, Inc. (formerly Weight Watchers.) In this role, she leverages communications to help the company to fulfill its purpose to inspire healthy habits for real life – for people, families, communities, the world – for everyone. 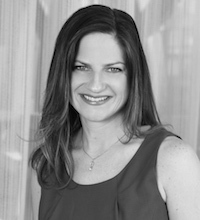 Prior to joining WW in 2012, Stacie was a Managing Director with leading global public relations and communications firm BCW (formerly Burson-Marsteller.) Over her 15-year career with the agency, she advised clients across different industries on public relations, marketing communications, public affairs and issues management. Stacie earned a Bachelor of Science degree in Business Administration from Miami University in Oxford, Ohio. She has lived in Brooklyn since 2007 and moved to Prospect Heights in 2012. Stacie believes in the potential of the arts to unleash the full expression and potential of each individual, and was inspired to join the Dancewave Board after witnessing the energy and passion of the staff, supporters and students.